Flanders and food go together like salt and pepper. Discover how this benefits your business. For centuries, Flanders’ inhabitants have held the reputation of being ‘bons viveurs’ and enjoying life to the fullest. And that’s true: the finest food and drink have become an integral part of the region’s philosophy – and international food processing companies know it. They are falling for Flanders’ location in the heart of Europe’s main purchasing zone, with fast and easy access to international markets and unrivaled expertise in logistics activities through four sea ports and hundreds of distribution centers further inland. 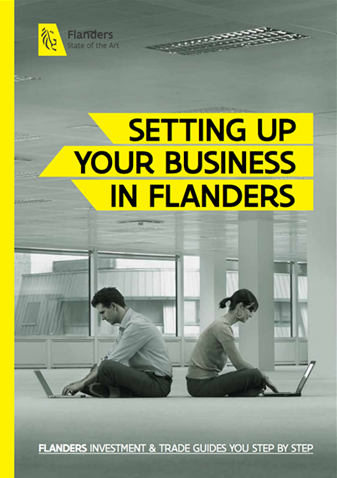 Find out how to nourish your business by benefiting from Flanders’ flourishing food industry. Flanders opens up a close-knit business and knowledge ecosystem to your food company, from feedstock resources to business and research enablers. Flanders has gained a unique and competitive biomass feedstock position. Not only is there high availability of diverse feedstock resources, our region also excels at generating second and even third generation feedstocks. As a result, Flanders is home to several world-leading companies in the sugar and starch industry, such as Tienen Sugar Refinery. Agriculture and food companies located in Flanders enjoy extensive support from local universities, key organizations, infrastructure and knowledge centers. Some of these include: Flanders’ FOOD, The House of Food, FEVIA, ILVO and Inagro. The agro-food industry in West Flanders has always relied on the region’s favorable climate and fertile soil. No wonder this sector has successfully spiced up the economy in central West Flanders and the Westhoek region. Among its major players are companies like Greenyard Foods, Ardo, Dujardin Foods and Marine Harvest Pieters. From artisanal preparations to products made in hi-tech environments, food is big in Flanders. Moreover, Flanders is located close to all major European industrial and consumer markets, making it an ideal logistics hub. It shouldn’t come as a surprise that many multinationals like Citrosuco Europe, Louis Dreyfus Commodities and Cargill, are running large-scale operations in our region. What makes us an excellent test market and a blueprint of Europe? With 6.4 million people living in a surface area of just over 13.522 km2, Flanders is a small yet populous region. The smaller the market, the faster you can bring new products to the consumer and find out whether they like it. The region is a kind of miniature Europe and its economy is very similar to that of Europe, making it a representative test market. Flanders is part of a very diverse and multicultural country, located on a crossroads of three major cultures (Germanic, Roman and Anglo-Saxon). Meanwhile, all of that comes together to form one comprehensive distribution network – making it easier for companies to distribute their products. In short, if consumers are willing to buy your new products here, then chances are even higher that the average European consumer will do so too. Unique education programs at the Leuven Food Science and Nutrition Research Centre (LFoRCe) of the University of Leuven. … Food is Flanders’ 3rd largest industrial activity? … More than 80% of the Belgian turnover in food is generated in Flanders? ... Belgian frozen vegetable exports amount to around 1.2 million tons, of which approximately 90% originate from West Flanders? ... Around 30% of all frozen vegetable production in the EU takes place in Belgium, with West Flanders dominating sales with 65% of the market share? … The world’s largest chocolate factory (Barry Callebaut) is located in Wieze, Flanders?